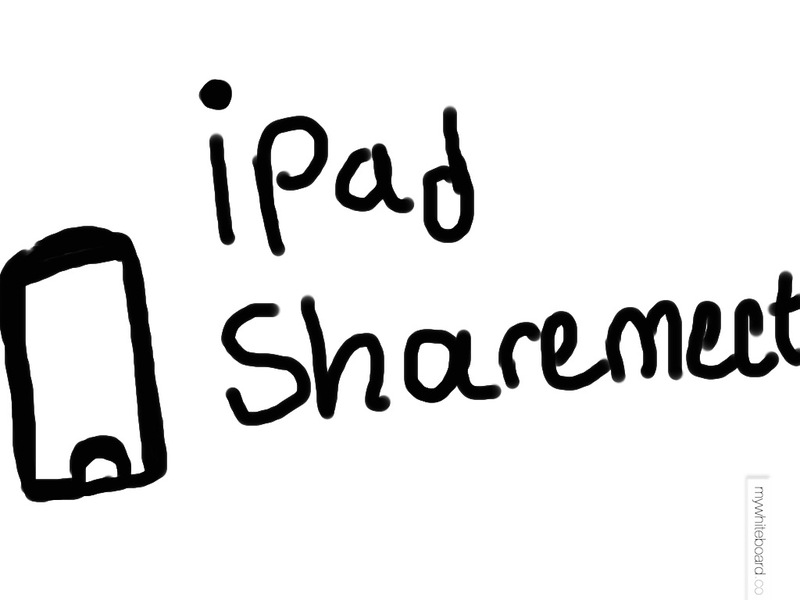 I organised an iPad Sharemeet a few weeks ago and 35 colleagues attended it. This was one of the largest staff attendance numbers we have had for a staff development session organised by the Teaching and Learning Institute(TALI). This event was organised to create awareness for the iPad (and other tablets) Coffee Club project (a CLL project funded by the HEA). You can get more information about this project in this page and post. The staff attendance figures for the iPad Sharemeet and a previous dissemination event on the BJET iPad project findings confirm that University of Huddersfield colleagues are keen to learn how to use and maximise their iPads for work purposes. This is a reason why I am optimistic that the iPad (and other tablets) coffee club events (x3) will be well attended. The iPad Sharemeet involved myself and Cheryl Reynolds (Education Lecturer) sharing some of the apps which we use for academic practices. Cheryl talked about how she uses Educreations to create screencasts for her students. I have embedded below one of her Educreation screencasts on how to multiply (Japanese style). She also briefly demonstrated the Videoscribe app (£2.99) which she said is a bit fiddly to use initially but gets better with practice. She showed how she uses the Turnitin app for marking especially when she is away from the office. Notability was the final app which she mentioned at the iPad Sharemeet and she demonstrated how she used it for teaching observation when on placement visits. She uploads a teaching observation template into Dropbox and then she opens this document in Notability. She then either types in her observation feedback into the template or writes her feedback in it using her stylus. I talked about and demonstrated apps which I use for research purposes. I shared how I use Notability for reading journal articles. I showed how I use Pocket to save HTML web pages from my laptop unto my iPad for offline reading of longform articles and HTML journal articles. I do most of my iPad offline reading when I am commuting to and from work on the public buses. I also demonstrated how to enable offline document reading functionality on Dropbox by starring your documents or making them your favourites. I was unaware of this Dropbox feature until a few months ago when a colleague showed me how to do it. This knowledge has transformed how my use of Dropbox especially in areas where I didn’t have WiFi access. The official first iPad (and other tablets) Coffee Club will be in November. An output of the CLL project is a web resource showcasing useful apps and mini-case studies for academics. It is currently work-in-progress and I have only posted three apps but I plan to add lots more over the next few weeks so please follow that website (via email or RSS) to be notified of new app postings. I would appreciate your thoughts and feedback on this resource at this stage. Thanks. Finally, this blog site will feature blog posts for both the BERA’s BJET iPad project and the HEA’s CLL project. The blog posts will be appropriately tagged as either ‘BJET’ or ‘CLL’ in order to differentiate them. Refer to the tag cloud on the right hand side of this site. I hope you find the observations and findings from both projects interesting and useful. Link to Cheryl’s Educreations page.